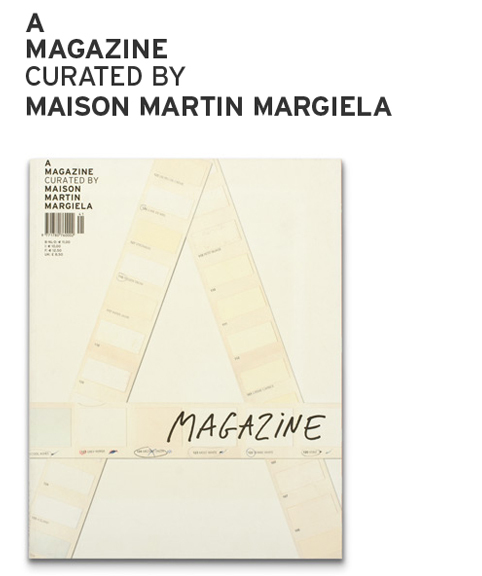 If you haven’t gotten a whiff of it yet, the iconic A MAGAZINE Curated by Maison Martin Margiela, the No.1 issue of the bi-annual A MAGAZINE first released in 2004, has now been made available online. 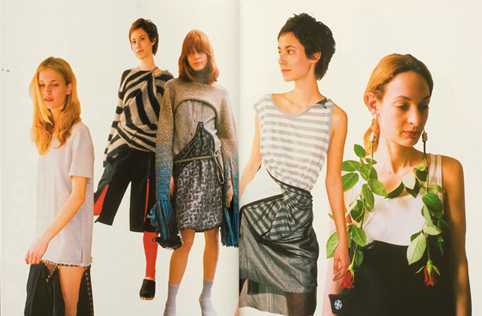 A MAGAZINE explores the creative sphere of a selected designer in each issue. A guest curator – an international fashion designer, group or house – is invited to develop innovative, personalised content that expresses their aesthetic and cultural values. 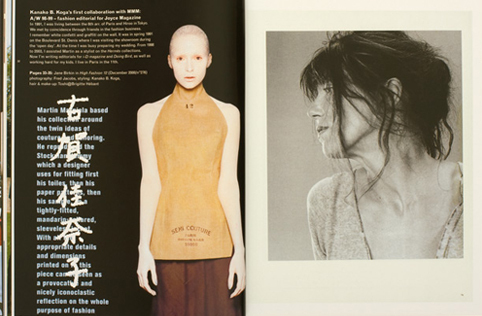 Each issue celebrates this designer’s ethos: their people, their passion, their stories, emotions, fascinations, spontaneity and authenticity. 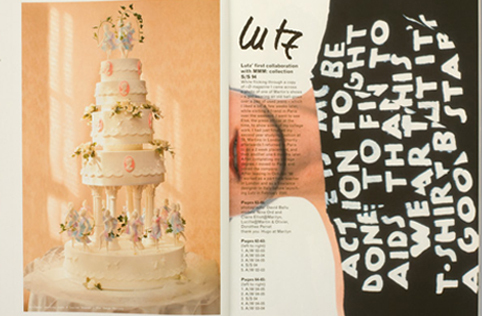 In 2009 to celebrate the fifth birthday of A MAGAZINE, a new website and the A BLOG CURATED BY was launched. 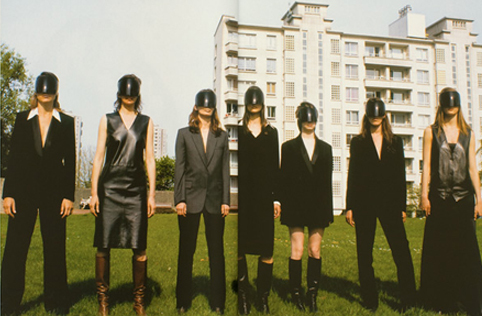 Throughout the month of February and beyond, A BLOG explores Maison Martin Margiela’s truly iconic magazine – an organic and interpersonal study of the brilliant people who have touched the house in weird and wonderful ways over its two decades in operation. 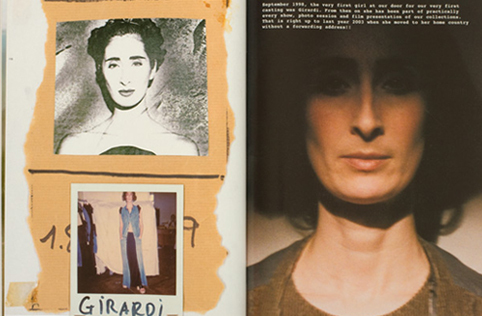 Centred on both Antwerp and Paris, the contributions within the title include handwritten notes, typed working documents, collages, photography, interviews and installation art from the likes of Mark Borthwick, Marina Faust, BLESS, Ronald Stoops, Nigel Bennett and Patrick Scallon. Many contributors have not only been associated with the house externally, but have worked behind its closed doors as designers, models, photographers etc. 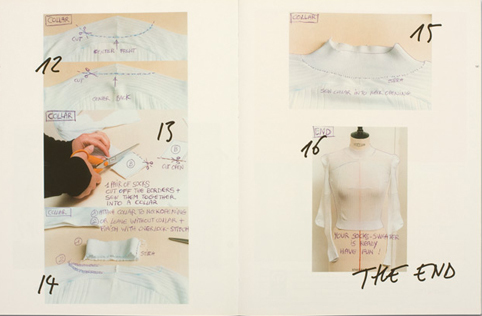 This issue also featured a DIY spread on how to make your own Margiela sweater. 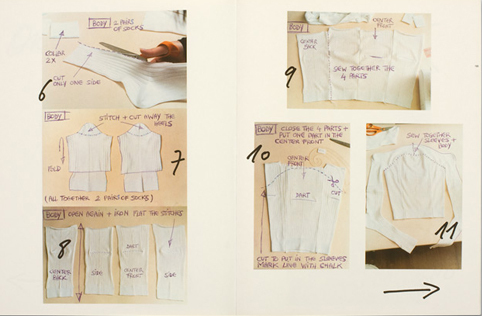 In a simplified version of the techniques of the Margiela Artisanal team, this sixteen step diagram shows you how to transform eight pairs of white socks into a sweater – cutting and stitching the footwear into a ribbed, stretch cotton jumper with the sock ‘heels’ creating unusual details on elbows and shoulders. 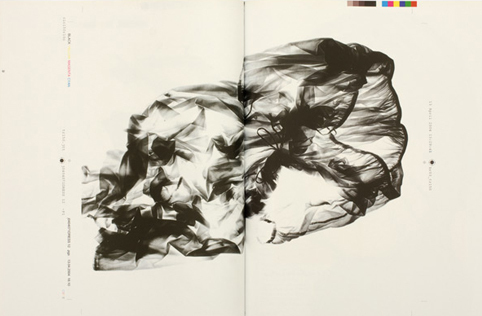 Other designers with their own curated A MAGAZINE you’ll see below, with the Proenza Schouler issue aimed to be released simultaneously in print and online in early (March) 2010.